Hey all, welcome back! Today I have Canadian Independent brand, Cuter Cuticles contribution to the November 2017 Polish Pickup. 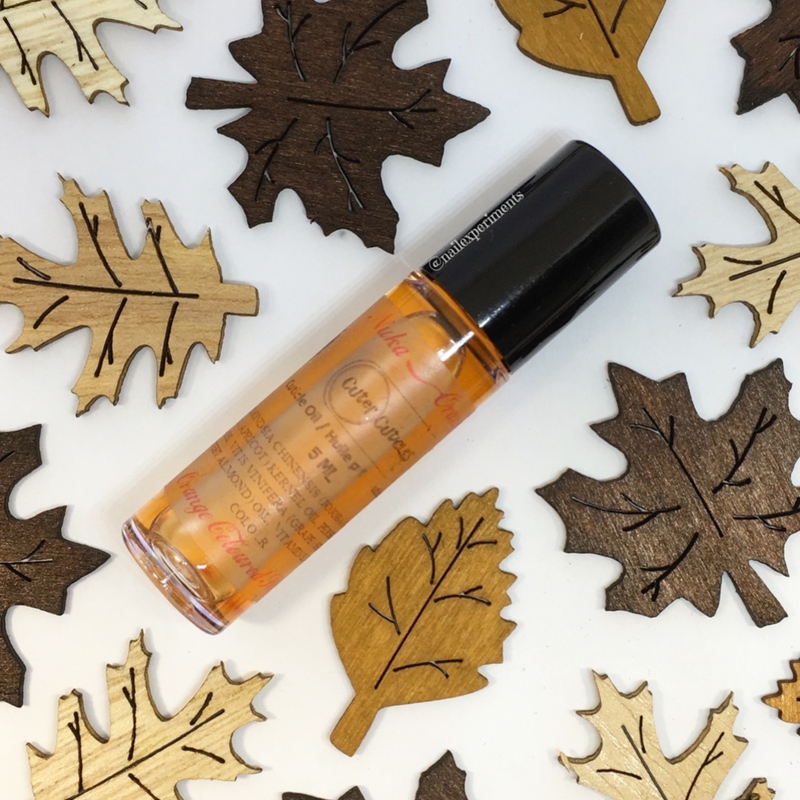 Cuter Cuticles is widely known for their fantastic cuticle oils and barrier butters, and for November, they've included a delightful cuticle oil! The Polish Pickup's November 2017 theme is all about Fandoms and Cuter Cuticles was inspired from a video game called Fallout! The cuticle oil is called "Nuka Orange", which was inspired from an item in the game. Their thoughts? Nuka Orange could perhaps be a riffling off of Cocoa Cola being one of the few things to survive after an apocalypse. Nuka Orange is described as tasting like orange coloured skies - and not those atomic, radioactive ones either - more like ones that smell like orange soda pop. Delicious and refreshing! Here is a very rare shot of my bare nails, but for good reasons! 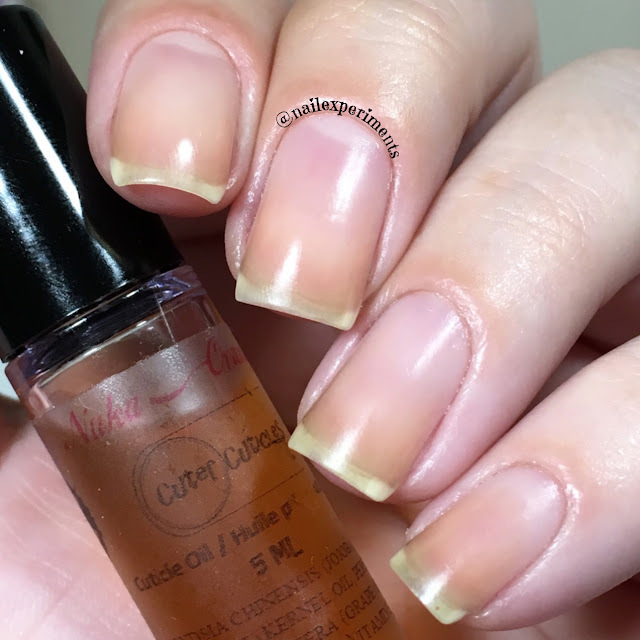 I slathered the refreshing Nuka Orange cuticle oil all over my nails/skin and massaged it in for a good 10 seconds per nail. The 5ml rollerball style is handy for on the go use and of course at home as well. Cuticle oil is an essential routine product of mine that contributes to growing healthy and strong nails. I recommend applying cuticle oil twice a day by massaging it into each nail for roughly 10 seconds. How does Polish Pickup work? Each month Polish Pickup will list polishes created by that months participating makers, and customers can pick and choose which of that months offerings they would like, without a commitment. You can purchase just one if you'd like to. It IS a pre-order and won't ship for at least three weeks *pre-orders need to be sent from the makers to TPP (the polish pickup) for distribution*. Shipping to the U.S and Canada is only $3 and international shipping rates are also available. For more info on Cuter Cuticles, check the links below!